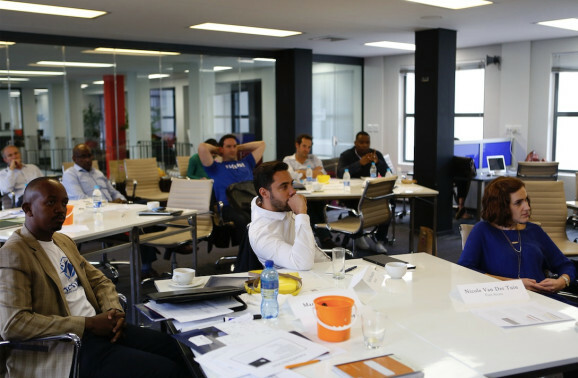 Above: Startups from Kenya, Uganda and South Africa participate in a workshop during the $200K Zambezi Prize Competition. One of those hidden paths leads to Africa, a market that remains unknown to most VCs. And yet African startups are expected to raise more than a billion dollars by 2018. According to Partech Ventures, the VC funding raised by African startups reached $367 million dollars in 2016, representing a 33 percent year-over-year growth. In fact, fundraising by African startups has grown by an explosive factor of 8.7x over the past four years. Doing business in Africa, Sub-Saharan Africa in particular, is not for the fainthearted. However, in this part of the world more than any others, obstacles are golden opportunities in disguise. For instance, cross-border payment inefficiency is giving birth to innovative models such as MFS Africa and First Access’ microfinance platforms, while a looming energy crisis has prompted international superstar Akon to propose a complete redesign of the traditional solar energy approach. In Nigeria, a company called MDaaS (for Medical Devices as a Service) is addressing the lack of access to quality medical equipment by pioneering a new healthcare distribution model. In Uganda, a company called Tugende is fixing the broken motorcycle financing system with its unique lease-to-own model. Opportunities are waiting for those that have the courage to get out of the living room and to stop judging places based on TV, says Amnesty’s Global Council member Bassim Haidar, whose fintech group is powering mobile loan transactions that amount to more than $2 million a day in Nigeria alone. Union Square Ventures’ Fred Wilson alluded to these opportunities when he wrote about VCs that have the foresight to set up shop in emerging markets and leverage the “second smartphone revolution,” e.g., the next 2.5 billion people to adopt smartphones. While this revolution may not be considered a secret anymore, the various ways these 2 billion+ people will access mobile content and services still remains to be shaped. With a projected African smartphone user base of 725 million, answering this “how” question is becoming an increasingly relevant topic in Silicon Valley. Marc Zuckerberg has become the most popular example of the Valley’s growing interest in Africa thanks to his $24 million investment in Lagos-based Andela and a successful Africa tour. But he is far from the only one. Tim Draper was among the first Silicon Valley investors to bet on Africa with Savanah Fund and Draper DarkFlow, a move recently followed by Andreessen Horowitz, which led a $9.2 million Series A in Branch.co, and IVP, which participated in Tala’s $30 million Series B round. And eBay founder Pierre Omidyar has invested more than $50 million on the continent since 2008. Earlier this month, Dave McClure’s 500 Startups kicked off its very first African version of Geeks on a Plane, while Google committed to training one million African students in digital skills within a year; Airbnb is also betting heavily on Africa, with a plan to double its African customer base this year. And Y Combinator followed Zuckerberg’s footsteps in Nigeria via a tour organized by Ingressive last September. All this activity signals an important shift: Africa is no longer an inhospitable place for tech investing; it is emerging as a viable market that is rewriting the rules of entrepreneurship by enabling a new generation of investors to nurture a truly global ecosystem. In Israel, former MIT professor Dan Ariely, thought leader Dan Marom, and private equity investor Yardenne Assa-Maor recently teamed up to launch a fintech-in-Africa fund with a venture-building approach, bringing together behavioral science, business expertise, technology, and capital. In Europe, Venture Capital For Africa tackles the ecosystem’s knowledge gap by providing a platform for venture research, angel investment, and mentoring. In Boston, MIT is working on new initiatives, including the Legatum Center, MISTI Africa, and the Africa Business Club, to foster a Pan-African network of tech experts, thought leaders, and impact investors through funding, academics, and research opportunities. In California, Stanford University, the African Diaspora Network, and The African Technology Foundation are creating conference programs to nurture the African investment and tech communities from within Silicon Valley. In Boston, MIT is working on new initiatives for students and entrepreneurs to foster a Pan-African network of tech experts, thought leaders, and impact investors through funding, academics, and research opportunities. Along with tech hubs, universities, and investor networks, the diaspora is another critical component of Africa’s viable investment market. A recent Pew Research Center study points out that Africans are becoming one of the fastest-growing immigrant populations in the U.S. African immigrants aged 25 and older are among the most educated demographic groups in the U.S., with about 35 percent having at least a bachelor’s degree. African immigrants are using mobile apps to stay in touch with their families, online stores to shop for them, and remittance services to send them money. The U.S.-Nigeria remittance corridor alone generated over $5 billion in 2015, and according to remittance expert Adams Bodomo, the global African remittance market could be as high as $140 billion, as about 75 percent of all transfers are informal. These consumer habits will ultimately translate into significant investment opportunities for U.S.-based investors. Perhaps President Obama’s rumored VC career will see him connect with his African roots and leverage his international expertise to invest in similar opportunities. Africa is a land of moving paradoxes. Often described as a static market providing little value to VCs, it has emerged in recent years as the world’s leader in global entrepreneurship, taking many investors by surprise and prompting analysts to place the continent at a crossroads. Many indicators are now revealing that Africa’s tech scene is actually moving faster than expected and that entrepreneurs and investors alike are already turning its many secrets into significant business opportunities. Africa is not at a crossroads anymore. It has already crossed over. Ali Diallo is an American entrepreneur and venture builder of Senegalese descent who heads the global programs of the MIT Legatum Center for Development and Entrepreneurship in Boston. He works closely with Georgina Campbell Flatter, the Center’s Executive Director and MIT Sloan Lecturer, and with the Legatum team to create pathways for entrepreneurs that advance financial inclusion in Africa. Prior to this role, he was a member of Channel VAS in Dubai where he built the startup operations of a telecom ad network. He founded Media Investment Tech Ventures, Francophone Africa’s first investment platform with a venture-building approach. He is the former head of advertising operations of Gannett in Michigan and a founding partner at United+, a global venture network of investors, fintech leaders, and futurists that contribute to the advancement of mobile financial services and of the venture studio model in frontier markets.